Soft, sensuous, light, and shimmery. 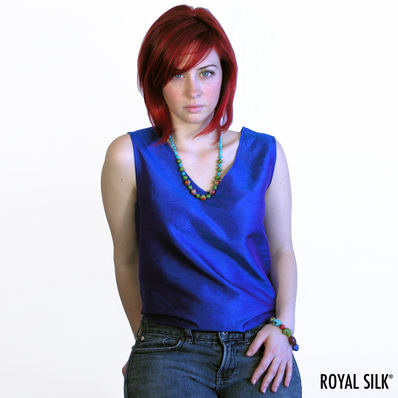 You will feel good, really good, with this affordable crinkled silk V-neck tank top by Royal Silk®. This is one sharp silk must-have that you will wear day in and day out. Pair it with a silk shirt for a whole new classy look. So easily packable, these sporty silk tops are a charm to travel with. 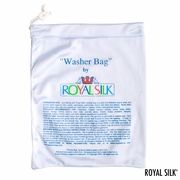 Fashioned in lightweight India silk that washes easily. 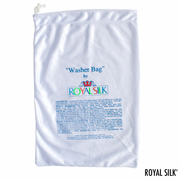 We recommend our Silk Washer, purchased separately, as the most hassle-free way to wash and care for these silk tops. Sizes: XS, S, M, L, XL, and XXL (see chart below). Washable. Imported.